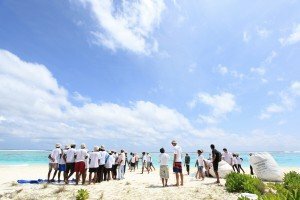 We understand that everything is interconnected – the economy, people, culture, whale sharks, and environment – and that local community involvement is central to successful conservation initiatives. We strive to recognise the importance of these layers and be inclusive in our conservation philosophy towards the sharks we study, the supporting marine ecosystems, and the coastal communities we work with. 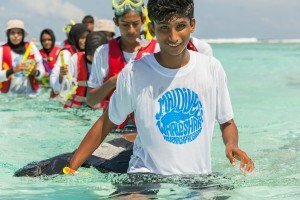 Through scientific research and a reverence for ecological principles, our conservation strategy encourages people of all backgrounds and cultures to participate in keeping the fragile Maldivian ecosystems healthy and sound for future generations. 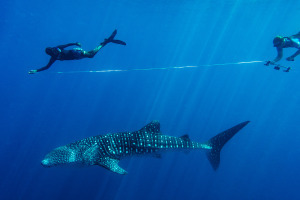 Our research focuses on the whale shark and the supporting marine ecosystems. Day to day activities are based around time on the water collecting scientific baseline data, which guides our scientific publications and advocacy efforts for sound environmental policies. Our research is used to inform decision-makers and the general public for the good of the whole. We believe that real buy-in can only be achieved when people truly understand the research process and the outcomes it generates. 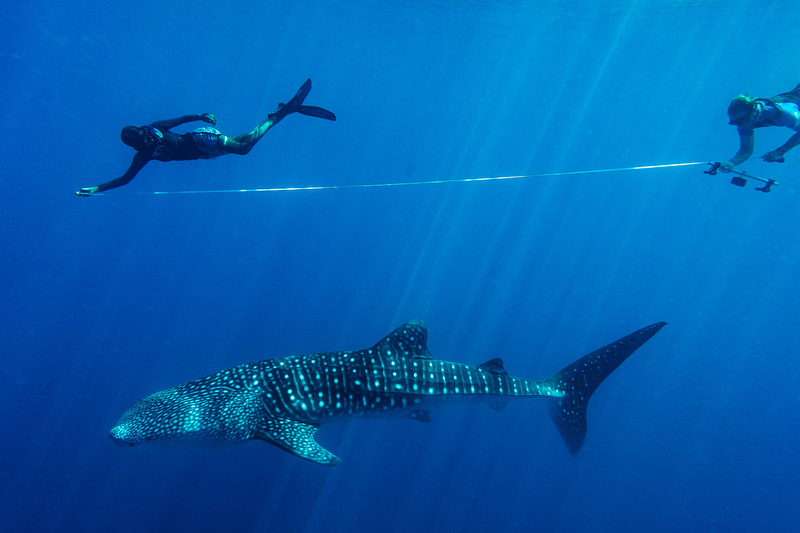 Our approach aims to involve people: from the local to the international level to demystify the scientific research process and reveal answers about the mysteries of the whale shark species. We value the inclusion of local community and believe it is central to good conservation practices. We know that by getting people directly involved and excited in our work, we can create networks of involved citizens, ready to participate in stimulating scientific research and conservation projects related to the whale shark. By developing dynamic research studies, ensuring transparent communication of findings, and facilitating educational opportunities focusing on the importance of biological diversity, species conservation and environmental stewardship, we know that we can advance the field of research and foster effective conservation initiatives.